Charles Wayne Swisher, 75, of Greentown, passed away peacefully at 7:15 p.m., November 7, 2018, at home with his family by his side. He was born November 16, 1942, the only child of the late Charles Raymond Swisher and Sitye Grace (Cooksey) Swisher. On September 17, 1961, he married his high school sweetheart, Betty (Wise) Swisher. They celebrated 57 years of marriage on September 17, 2018. 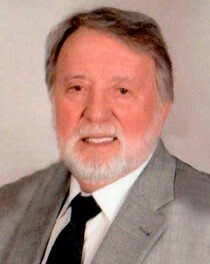 Charlie graduated in 1961 from Eastern High School. He retired from Chrysler Corporation as a Pipefitter with 37 1/2 years of service. He was a 50 year member of Greentown Masonic Lodge #341, where he was Worshipful Master in 1974. In two months, he would have been a 50 year member of Greentown Chapter #195, Order of Eastern Star, where he served as Worthy Patron in 1976/77. He also served as Rainbow Pop for Greentown Assembly #125 International Order of Rainbow for Girls, and he received the Grand Cross of Color. In 2015, he received the honor of Grand Representative of Maine in Indiana with Greta Bickford as his counterpart. He was the first male in the Order of Eastern Star to be appointed Grand Representative in Indiana. He was a lifetime member of the Greentown Historical Society. He was commissioned a Kentucky Colonel in 2015 and was an honorary member of Russiaville Masonic Lodge #82. He loved spending time with his family especially the time with his grandchildren and the fun they bring to our family. He was a good cook. He enjoyed playing euchre with his friends, “Deputy Dawgs”, and playing golf with the guys on Monday and Thursday at Tipton. He also enjoyed oil and watercolor painting and learned a lot of painting techniques from Juanita Petty. He loved to travel and had visited all 50 states and 4 countries. Charlie attended First Landmark Baptist Church in Kokomo. He was on the committee to help organize Little League in Greentown where he coached his sons and enjoyed all the boys he coached. He was the first coach to choose girls for his team, Beth Dean and Teresa (Marine) Pearson. five grandchildren, Dakota Allen (Bridgette Roberts), William Wayne, Ty Adley, Abigail Grace (Caleb) Nelson, and Jesse Owen; two step-grandchildren, Jessica and Clayton; great-granddaughter, Madeline; brothers-in-law, Homer and Leon Wise; sisters-in-law, Sandy, Helen and Sue Wise; and several nieces and nephews. He was preceded in death by his parents; brothers-in-law, Dewey Jr., Hugh, Johnny Austin, and Bob Wise; and sister-in-law, Dixie Wise. Visitation for family and friends will be Saturday from 4 until 8 p.m. at Hasler & Stout Funeral Home, 112 E. Main St., Greentown. Eastern Star services will be at 7:00 p.m. followed by a Masonic service. Funeral services will be Sunday at 2 p.m. at the funeral home with Reverend Robert Morphew and Reverend Jerry Brooks officiating. Burial will follow in Greenlawn Cemetery, Greentown, Indiana. In lieu of flowers, a donation to First Landmark Baptist Church would be appreciated. God’s blessings to each of you. The family thanks Great Lakes Hospice Care, Amanda Harp, and Michelle Ray for their special care. Dr. Salter’s staff, we thank you for all the care and work you do for your cancer patients.